Greenback organizes your purchases without manual data entry. Make tax time and expensing a breeze. 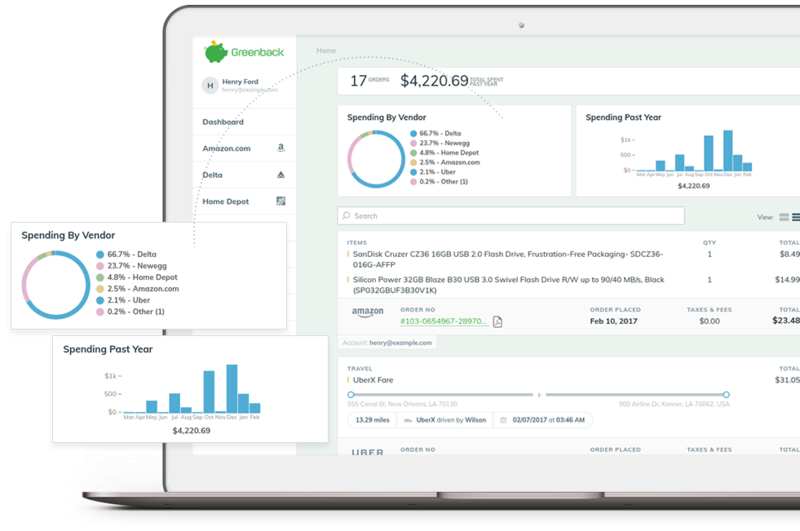 Greenback offers line item visibility into all your purchases. Gone are the days of 'uncategorized' or unknown purchases. With Greenback you know what you bought -- not just where you bought it. 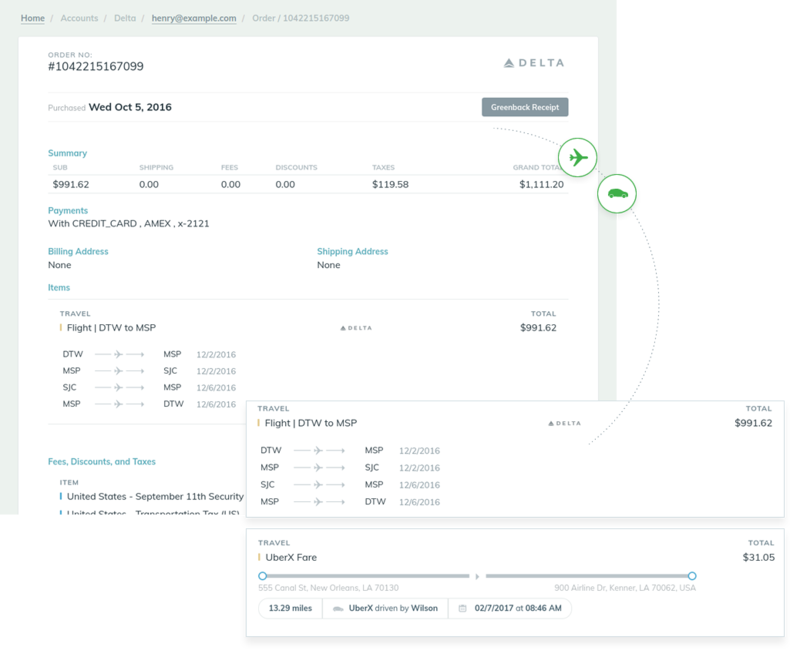 The receipts for your travel are automatically collected. We call it 1-click expense reports. An accounting system is only as good as the data that it contains. 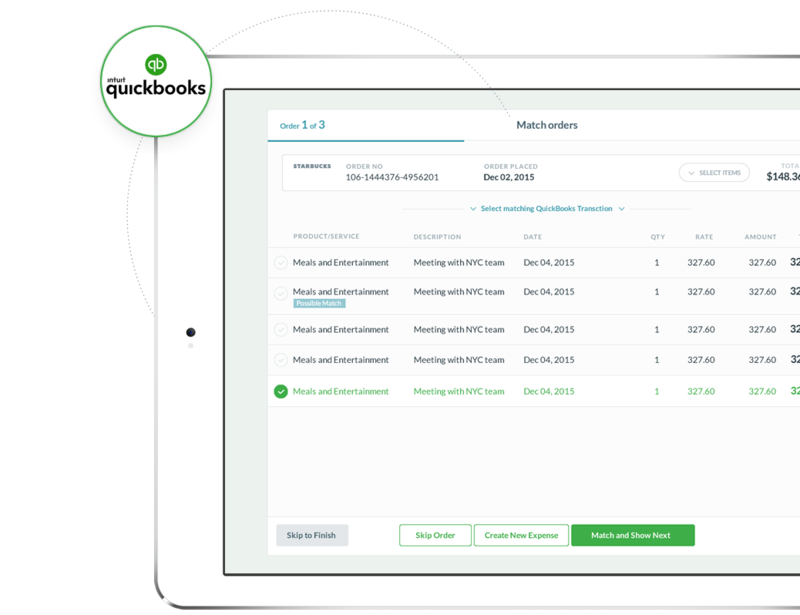 You can easily export and reconcile your purchases into QuickBooks Online. Sharing data at home and at work? Awesome. Sharing passwords? Not so much. 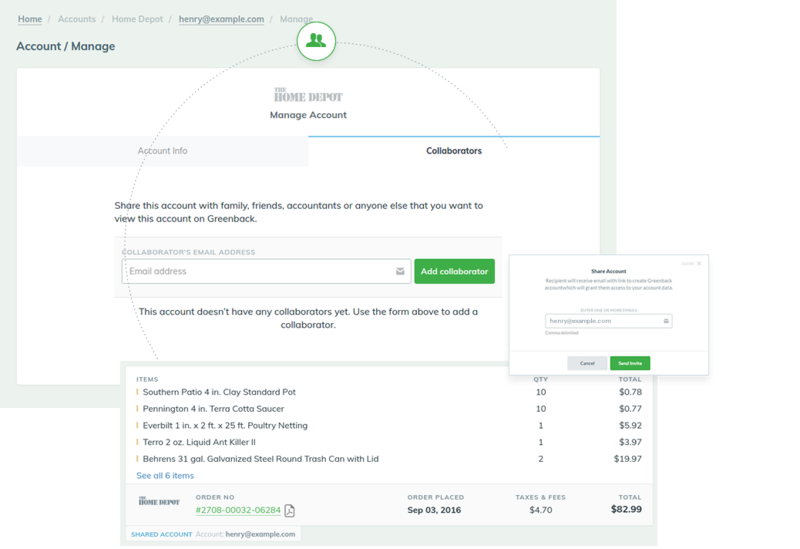 You can securely share purchases without having to share access to your accounts.